Burn The Internet: Catwoman Get! 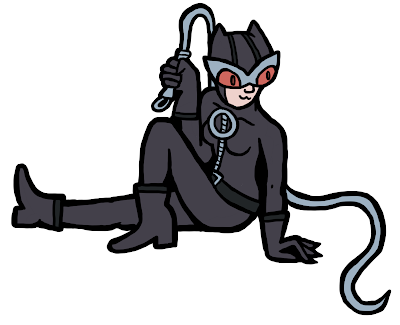 Apparently Catwoman is going to be in The Dark Knight Rises. I hope they go with some version of her new outfit with the giant goggles, but honestly, I'll be happy as long as it's better than the Halle Berry one, which is a pretty low bar to clear.